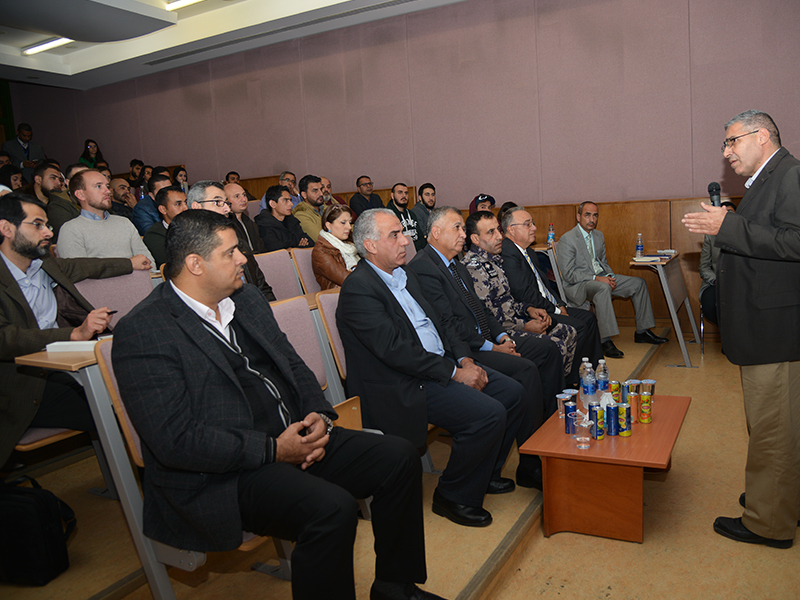 On Tuesday, November 27, 2018, the Department of Civil and Environmental Engineering- the School of Natural Resources Engineering and Management (SNREM) at the German Jordanian University (GJU) organized a lecture on Recent Flood in the Dead Sea Wadis and Petra: GJU’s effort to understand the past and protect the future. 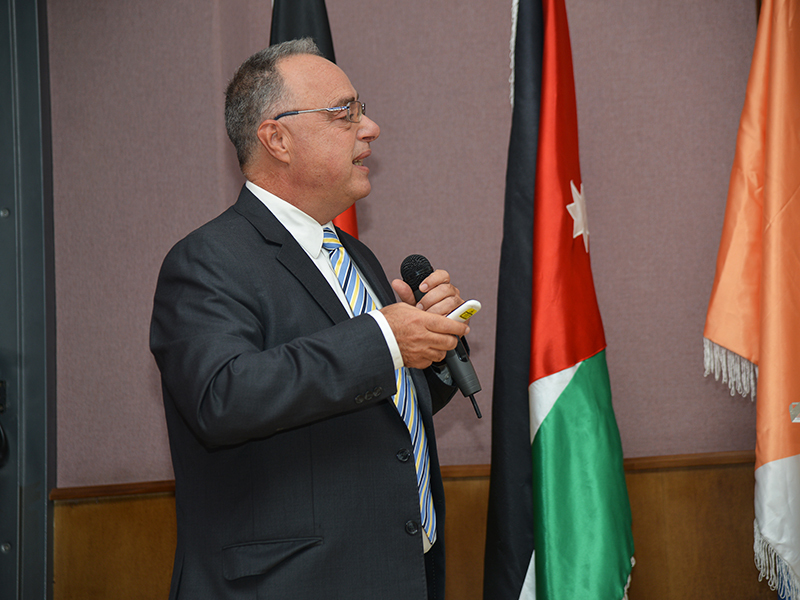 The lecture was attended by Vice President Prof. Dr. Atef Kharabsheh, Governor of Madaba, Hassan Al-Qayyam, the Dean of SNREM, Dr. Munjid Al-Sharif, academics, students and representatives of local community's institutions in Madaba. The lecture that was conducted by Prof. Nizar Abu Jaber, Dr. Mohammad Smadi and Dr. Qasem Abdelal aims to highlight the efforts of GJU to perform research studies in the areas of the Dead Sea and Petra for a better understanding of the floods causes and ways of preventing them. In his opening speech, Dr. Atef said that the university works to fulfill its roles toward the community by providing human and scientific resources. For his part, Al-Qayyam praised GJU’s efforts in finding solutions through scientific studies to prevent natural disasters. 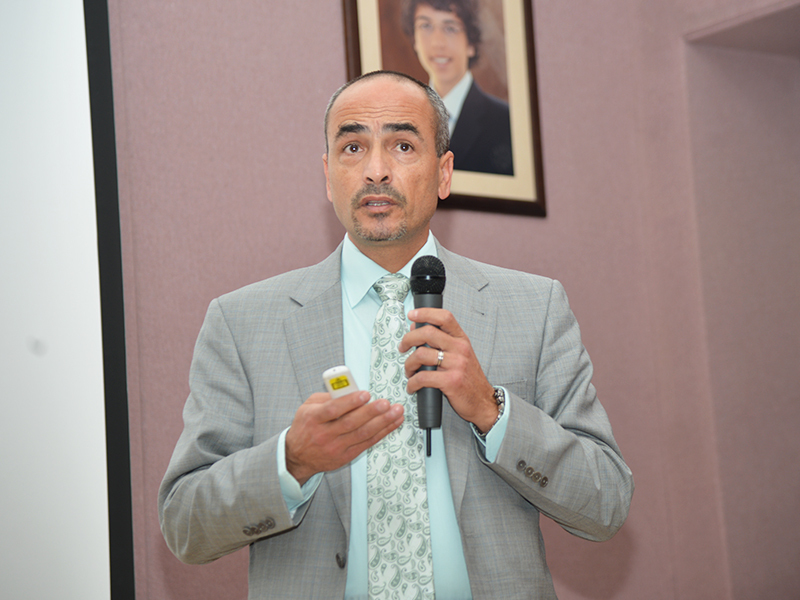 Dr. Abu Jaber stressed the main challenges that the researcher’s team face in the field. He also presented the adaptation mechanisms to the environmental conditions of the Nabataeans in Petra and the possibility of benefiting from these mechanisms nowadays. Dr. Abdelal demonstrated the main characteristics of the Zarqa-Ma’in Basin, he explained the processes and factors affecting the generation of floods. Dr. Abdelal additionally discussed the data available from the Dead Sea catastrophe and the analysis the research team is doing in that regard. 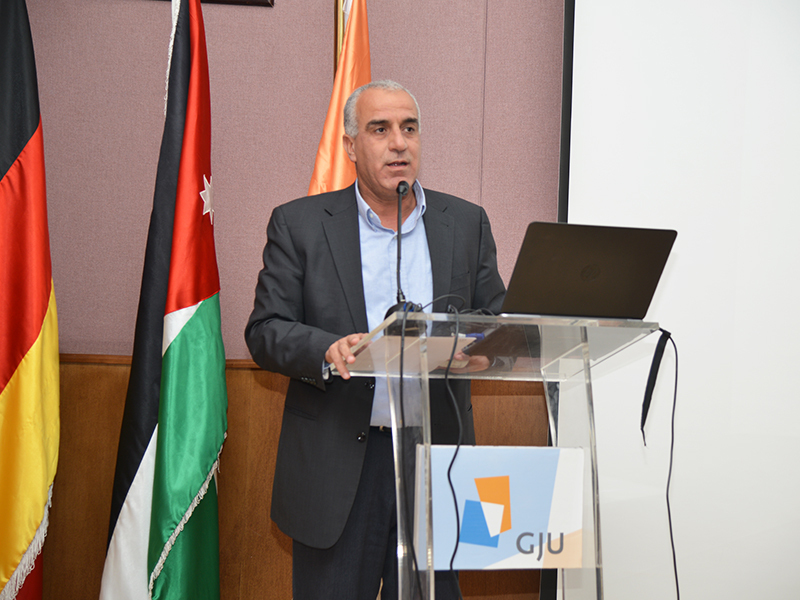 Dr. Al-Smadi discussed the project that is currently under implementation through a generous grant from GJU. He explained the impact of the project in preventing catastrophes besides guiding decision makers to take the necessary precocious measurement in harsh weather conditions. In addition, Dr. Smadi presented several effective ways to deal with floods, including promoting water harvesting, raising awareness among local community members, besides activating early warning systems to alert from the hazards of rainfall and flooding to the public. In the end, the audience together with the students participated in a constructive discussion on the topic and brainstormed suggestions on possible collaboration between the public and authorities to avoid and reduce human and physical damages.